If you suspect you may have mold, call ServiceMaster DAK today. We’ll help you understand the necessary protocol in safely ridding your home or business of mold contamination. Moldy materials must either be removed or decontaminated. This process is called remediation. Proper mold remediation procedure will be determined by the size of the affected area, and type of contamination. The mold remediation experts at ServiceMaster DAK will write an estimate based on the determination and written protocol of an industrial hygienist. The best way to deal with mold is to prevent it from happening. If the drying of wet building materials begins within 24 hours (assuming clean water), the chances of preventing mold growth are excellent. If building materials remain wet, it is inevitable that mold will start to grow. Therefore, addressing and eliminating moisture problems is the critical first step. Just how far reaching the effects of mold may be is yet to be determined. What is clear is that living or working in a moldy home or building is ill advised. If you suspect you may have mold, call ServiceMaster DAK today for a complete inspection and mold cleanup estimate. Identify the source. Without first identifying the conditions that encouraged mold growth, ServiceMaster DAK cannot succeed. Depending on the situation, the initial mold inspection should be performed by an industrial hygienist. If visible mold is present, is small in size, and the source of the contamination has been determined and corrected an industrial hygienist may not be needed. Identify the extent. 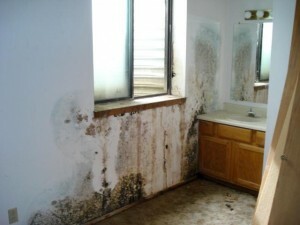 Next, it is important to identify the extent of the mold growth and water damage. Often this involves the use of moisture meters, and other specialized equipment. Air quality sampling can also be employed to identify the extent of the contamination. Containment. During the mold removal and remediation process the mold spores will often be disturbed and become airborne. This can lead to cross contamination and create a situation much worse than the original problem. ServiceMaster DAK uses specialized techniques to contain the area. This involves the use of HEPA filtration, negative air machines and plastic sheeting. Removal. After containment is in place, the mold damaged materials are removed. Often this includes the removal of porous materials such as drywall, upholstered furniture, carpeting, insulation, cabinets, etc. Decontamination. Non-porous or semi-porous materials such as wood framing, metal, plastic and concrete can be cleaned or sanded in place. HEPA vacuuming, wire brushing, sanding and other cleaning techniques are utilized to remove all remaining mold spores from the contaminated area. Often, an antimicrobial solution is applied to the remaining materials as well. Clearance Testing. Upon completion of the mold remediation and removal project a final clearance inspection is performed. ServiceMaster DAK recommends that a certified industrial hygienist visit the property to verify that previously unsafe levels of mold are gone. Alternaria: Extremely widespread and common spore. Common in soil, dead plants, and foodstuffs. It is often found indoors growing on cellulosic materials and as settled dust on carpets, textiles, etc. Potential opportunistic human pathogen. Commonly recognized as type 1 (hay fever) and type 3 (hypersensitivity pneumonitis). Chaetomium: Commonly found on a variety of substances containing cellulose including paper and plant compost. It can readily be found on the damp or water damaged paper in sheetrock. The thermpohilic, neurotropic nature of this organism suggests it is potentially aggressive. No toxic diseases have been documented to date. Cladosporium: Commonly found on dead plants, woody plants, food, straw, soil, paint and textiles. Common cause of extrinsic asthma (immediate-type hypersensitivity: type 1). Acute symptoms include edema and bronchiospasms; chronic cases may develop Pulmonary emphysema. Curvularia It may cause corneal infections, mycetoma and infections in immune compromised hosts. Dicyma: No information is currently available with regarding the health effects of this mold. It is commonly found on woody materials, cardboard, paper and other cellulosic Materials. Fusarium: A common soil fungus. It is found on a wide variety of plants. The fungus also has been found in humidifiers. People may react from ingestion of contaminated foods or inhalation of spores. In severe cases, the fungus can produce hemorrhagic syndrome in humans. This is characterized by nausea, vomiting, diarrhea, dermatitis, and extensive internal bleeding. Frequently involved in eye, skin, and nail infections. Ganoderma: Considered a basidiospore. Edible in mushroom form and a very important in the food industries. Hyphae: Tubular, thread-like pieces of the fungal organism. Cannot be identified as to what genus they originated from. Other basidiospores: Spores from one of the major classes of fungi that include, for example, the mushrooms, shelf fungi, and puffballs. Penicillium / Aspergillus: This group is considered common to indoor environments. It is widespread in the soil and on plants and is also considered a common contaminant of food. It has a musty odor. It is commonly being implicated in pulmonary disease in immunocompromised hosts. It has also been reported to cause skin infections. Many species produce mycotoxins, which may be associated with disease in humans and other animals. Toxin production is dependent on the strain, or on the food source on which it grows. Some of these toxins have been found to be carcinogenic in animal species. Several toxins are considered potential human carcinogens. Pithomyces: Grows on dead grass and plants. Prolonged exposure can cause facial eczema. Causes type 2 allergies (hayfever type symptoms, asthma). Rhizopus / Mucor: It may cause mucorosis in immune compromised individuals. The sites of infection are the lung, sinus, brain, eye, and skin. Infection may have multiple sites. 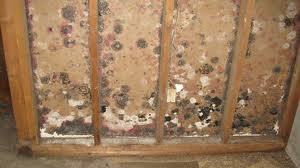 Stachybotrys: This is a slow growing, dark mold that grows well on cellulosic (paper-containing) building materials. It can produce a number of different macrocyclic trichothecenes which have been described as being toxic to humans and animals. Individuals with chronic exposure to the toxins produced by this mold report cold and flu-like symptoms, sore throats, headaches, fatigue, dermatitis, itching and burning sensations of the eyes and nose, and general malaise. This mold is rarely found in outdoor samples, and it is usually not found in indoor air samples unless the colony is dry is then physically disturbed. Ulocladium: Isolated from dead plants, cellulose materials, and textiles. Causes type 2 allergies (hayfever, flu-like symptoms). ServiceMaster DAK has consistently provided expert results in the field of mold remediation. We are never satisfied with “good enough” and pledge to provide our clients the highest in quality and value.